With the Windows 7 Release Candidate expiration date is just a few days away, many of Windows 7 RC users are asking a way to downgrade to Windows XP/Vista. 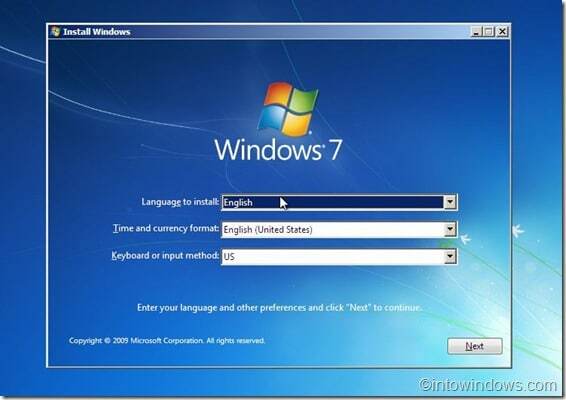 In this guide, we will show you how to downgrade from Windows 7 to XP. 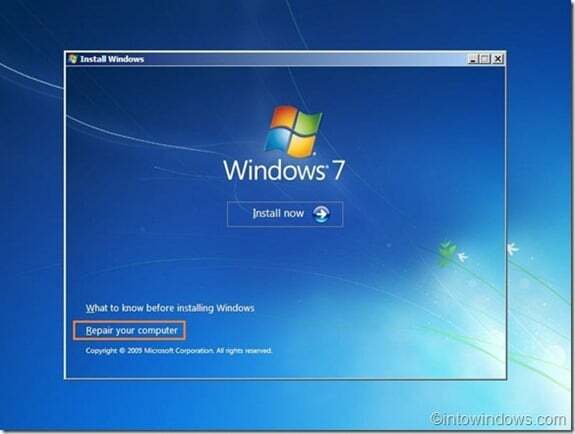 And if you want to downgrade to Vista from Windows 7, please refer our how to downgrade from Windows 7 to Vista article. 1. 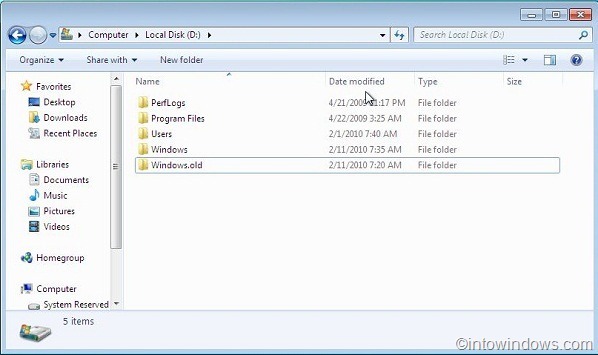 Open your Windows 7 drive (usually C drive) and make sure that you haven’t deleted the Windows.old folder, which was created by Windows while installing Windows 7 on XP drive. 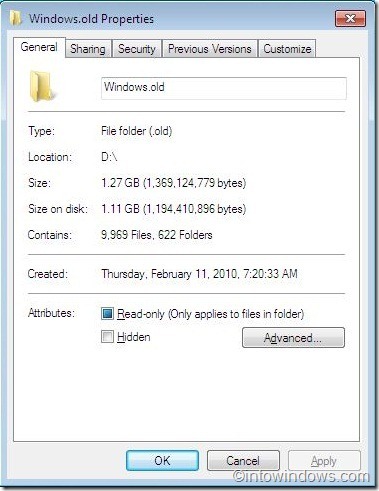 Note that without the help of Windows.old folder you won’t be able to downgrade from Windows 7. 2. Now check the size of Windows.old folder by right-clicking and then selecting properties. 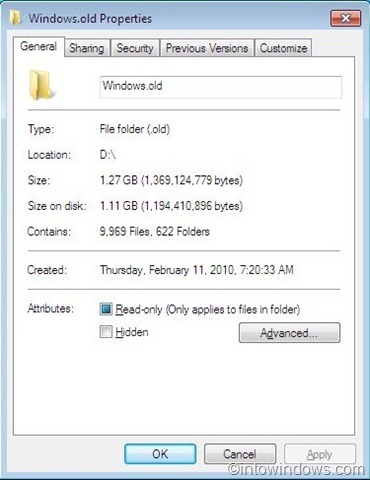 Make sure that Windows.old folder size is less than two times the amount of free space available on Windows 7 drive (C drive). If the Windows.old folder size is two times as large as the Windows 7 drive free space, disable system restore feature and also disk cleanup to get some free space. Please note down your Windows 7 drive letter and also DVD drive letter before proceeding to the next step. 3. 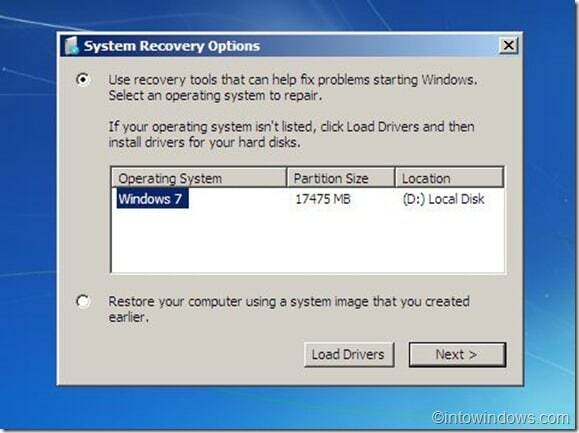 Insert your Windows 7 installation disc in the drive and reboot your machine. Press any key when prompted to do so. 4. Select your language, time, keyboard type and then hit Next button to continue. 5. 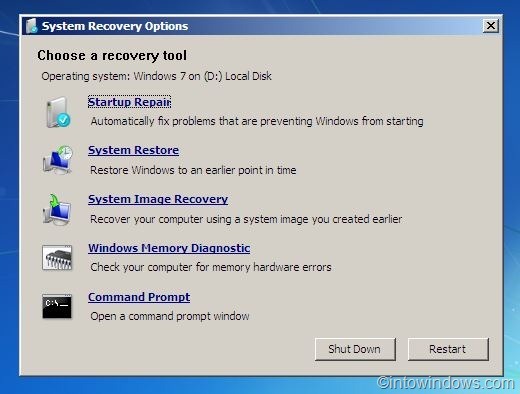 In the Install Windows screen, click Repair your computer option to open System Recovery Options. 6. Here select your Windows 7 OS and note down your Windows 7 Drive letter before clicking Next. 7. In the following window, click Command Prompt to start downgrading from Windows 7 to XP. 8. First you need to move all the contents of your Windows 7 drive to a folder. So type the following commands one by one and then hit enter after each command (here “D” is your Windows 7 drive letter). 9. Next you need to copy all the contents of Windows.old folder to the drive. Again, type all the commands mentioned below one by one and then hit enter after each command. 12. 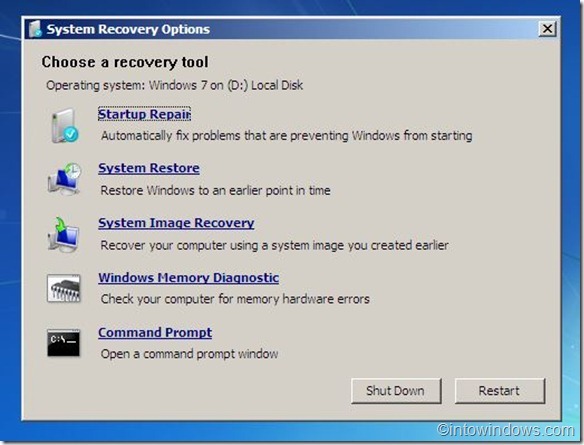 Type Exit and reboot your machine to start using your Windows XP again. You are done! 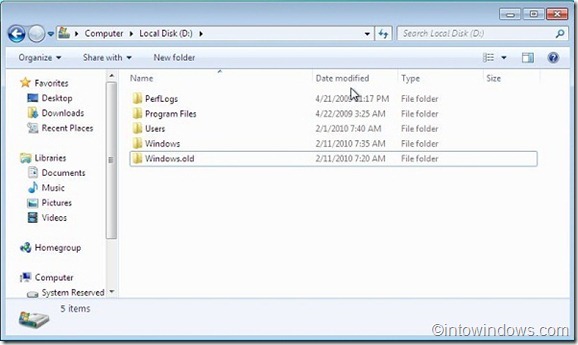 If you want to free up some disk space, delete Win7 folder in the root of your XP drive. Good luck!